Give a gift that is sure to please. the gift of a memorable experience! 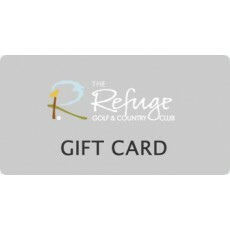 With the gift of a Refuge Gift Card the recipient gets to decide how to enjoy their gift. They can choose golf rounds or lessons, dining experiences, spa treatments or shopping in the pro shop. Purchase in denominations of $100, $250, $500 or $1,000.